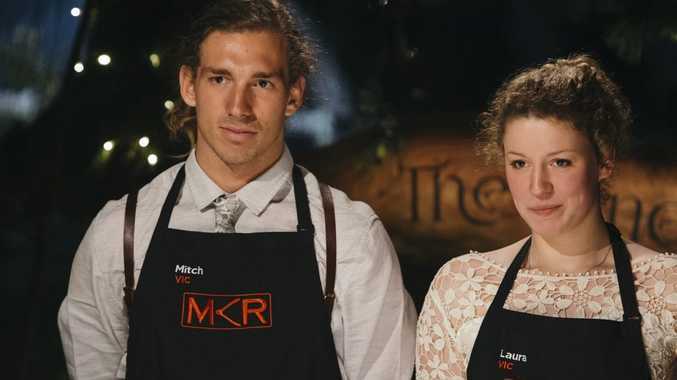 MITCH and Laura's future on My Kitchen Rules hangs in the balance after their first major misstep in the reality cooking competition. 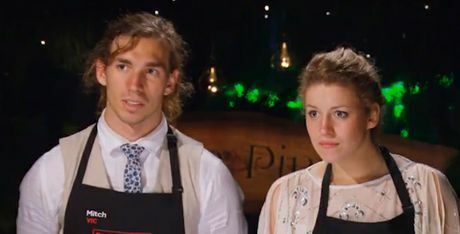 The Victorian siblings had been the favourites to win the show's grand prize going into the current ultimate instant restaurant round. But they had a dramatic night in the kitchen tonight and the stress showed through in their cooking. When Mitch was forced to dash back out to the shops to buy cream, the young cooks lost valuable preparation time for their three-course meal. The siblings were worried about their fondant setting as they rushed to plate their entrees but luckily it didn't bother judge Pete Evans, who scored the dish a nine of out 10. "I thought it was an abs delightful way to start a three course meal," he said. "What a lovely texture…it definitely wasn't a disappointment." 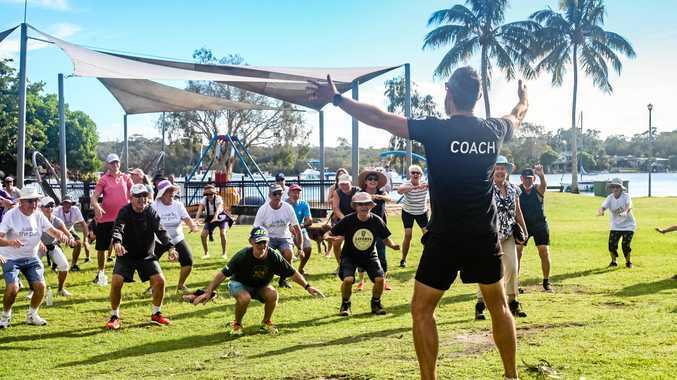 Manu Feildel was also impressed with their creative twist on French toast. "It was just an explosion of flavour, texture, creaminess - fabulous," he said. "I thought it was a little odd to serve a dish like this with such a small amount of broth, but the fact you served it on the side like this it was beautiful. The French toast would have been better pan-fried." But the competition favourites faltered with the proteins in their two main courses. While their vibrant beetroot risotto was full of flavour, their pheasant was dry and lacked the crispy skin Feildel expected. Evans also found faults with their lamb sweetbreads (offal). "Sweetbreads are meant to be a little pillow in your mouth. It was lacking from here. (It's) not unenjoyable, but just a little bit dense," Evans said. "I think this was a good dish but you just didn't nail all the techniques properly. "But I tell you what for such a young team cooking like this you should be very proud." The mood around the dinner table was also dampened when Zana found a hair in her food. Mitch and Laura react to the news they served a dish with hair in it. The dramas continued for Mitch and Laura when the pastry for their tart didn't work out and they were forced to plate up a deconstructed dessert. "There was a lot of coffee in a good way," Feildel said of their ice cream. "The rest of the dessert… (there were) strong caramel flavours but it was very, very sweet, to the point where it starts to burn the back of your throat. "But I do have to say the porcini mushroom was something special. Even though it's hard to understand how it could fit in with a caramel tart but on the palate it actually makes sense." To make matters worse Zana found another hair in her dessert and vowed to score accordingly. Carmine and Lauren will host their ultimate instant restaurant tomorrow night.